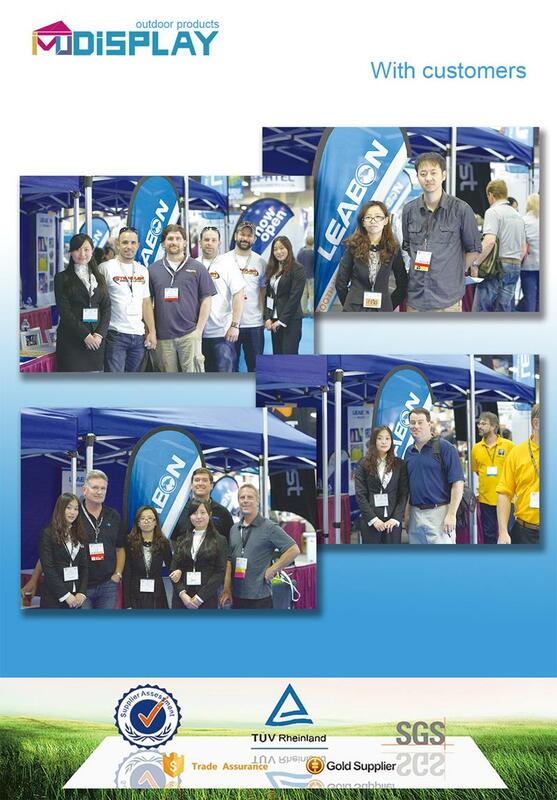 Trade show tent or canopy is usually used for outdoor demonstrations, events, or serve a purpose of gazebo. It is widely used for parties and events such as trade show, tailgate parties, street events, business outdoor promotions, etc. Furthermore, since it is relatively easy to set up, it could be the perfect item for front yard party during the hot summer to create a shadow, and to withstand the snow in the winter. Our factory has frames and polyester materials in stock for sample and bulk order. 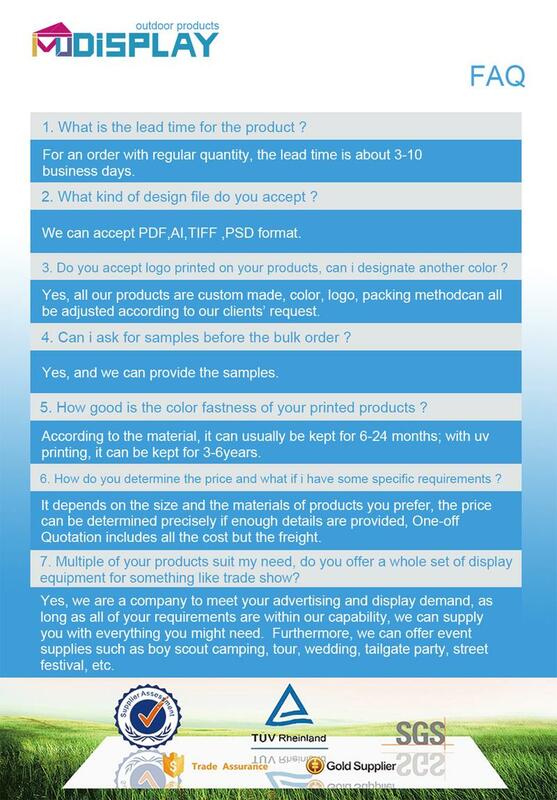 Therefore we accept small quantity orders which is our great advantage. 2).we have our own forwarder and we have big discount from forwarder.